Camella Dasma at the Islands is a first-class community designed for high quality living. The homes are Mediterranean inspired and strategically located close to the National Capital Region. Being a 5-hectare development, there are more than 500-single-attached-two storey homes and townhouses in this exclusive community. Residents of this estate will get to enjoy great amenities. This includes a clubhouse, basketball court and swimming pool. Enjoy the breeze as you exercise along the scenic jogging trails or spend family time at the playground or landscaped parks. Additionally, the security of the residents is of utmost importance. Hence, there are well-trained security guards at each gate and roaming the estate throughout the day. This will help to provide peace of mind to the homeowners. 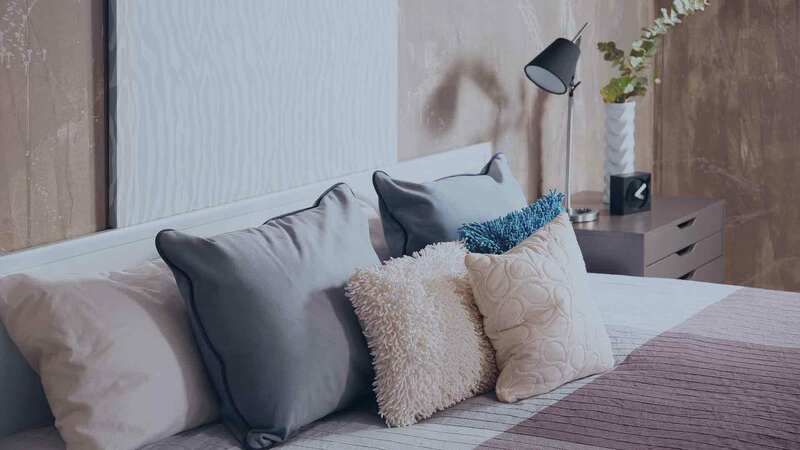 With this thematic atmosphere, Camella Dasma at the Islands is perfect for those looking for affordable yet quality homes in a secure community. Camella Dasma at the Islands is located in Paliparan II, Dasmariñas City, Cavite and an easily accessible location. Not only are there shuttling services available for residents, it has easy public transport access too. Located in Paliparan, there are 2 main access routes, namely via Molino-Paliparan Entrance and Governor's Drive Entrance. Camella Dasma at the Islands is situated about 15 minutes away from Alabang via Daang Hari Road, and 45 minutes from Makati via SLEX. Camella Dasma at the Islands remains as one of the top choices of well-to-do families is largely due to its accessibility to several commercial establishments, schools and hospitals. There are several schools surrounding this estate, including San Beda Alabang, De La Salle University and Technical University of the Philippines. As part of the development plan, St Paul College is positioned amidst the exclusive Island Park community too. Hospitals, such as Asian Hospital and Medical Center, Medical Center Imus and Our Lady of Pilar Hospital are just around the corner. If you are religious, you will be pleased to know that Fernbrooks Garden, St. Benedict Chapel, Saint James The Great Parish are nearby too. Not forgetting about leisure or shopping, feel free to head to SM Dasmarinas, SM Bacoor, Alabang Town Center and Festival Mall for some retail therapy. Being named as a ‘one-ride away convenience’, it is an ideal place as you are able to get away from the city while still delighting in the perks of urban living. Looking for live chat outsourcing? We suggest HelpDesk 247. Camella Homes Camella Dasma At the Islands in Dasmariñas City, Cavite, Philippines is a premier House & Lot project available for sale. If you're looking to rent or purchase Camella Dasma At the Islands, then check here first. We have full details of Camella Dasma At the Islands updated regularly as well as everything you need to know about the availing and booking process, broken down into stages that includes selecting a unit, choosing a payment plan and buying your dream home at the right price. For price list, free site tripping or showroom visit, personalized service, model house, unit plans, floor plans, payment terms, CHAT LIVE with an agent 24x7. We are Remax Perfect Homes. Always only buy from PRC licensed Real Estate Brokers and Agents. The Camella at the Islands Dasma is located right in front of St. Paul College Island Park Dasma and is just a 15-minute drive from the bustling Alabang district of Muntinlupa City via the Daang Hari Road to the east. The project is also a mere 30-minute away from the central business district of Makati via Governor’s Drive and SLEX. The proximity of the Camella at the Island Park Dasma, a house and lot community for sale in Dasmariñas City is a perfect hideaway for starting and growing families, and even young professionals, expats, OFWs, and other tranquility seeking homeowners who want to live close from their work or business but far away from the glitters and gleams of the metro. In this regard, they are more inclined to have a serene and peaceful living amid the gift of nature on their side. Additionally, having an address next to more affluent communities south of Manila without the hassle of everyday commute make them more energetic at work and even at home. You seldom find a house and lot package south of Manila like the Camella at the Island Park Dasma Cavite that offers out-of-this-world recreational amenities enjoyed even by the most sophisticated metropolitan dwellers. At this enchanting community, you will find one of the most diverse amenities ever assembled in a 5-hectare residential development. The project has an immense clubhouse that offers a stunning swimming pool, fitness gym, basketball court, function hall, picnic areas, and gazebo. The site has also scenic jogging trails, pet park, fitness park, landscaped gardens, pocket gardens, parks and playground, outdoor fitness gym, retail shops, 24/7 security, entrance gate with guard house, perimeter fence, and a whole lot more community features. The Camella at the Island Park Dasma is a Mediterranean-inspired architectural wonder offering more than 500 house and lot units having 2-Storey Single Attached and Single Detached Townhouses in various configurations. The house models being offered are the Camella Homes’ classic with modern twist Mediterranean-themed Home Design Series, which includes the following: Carina, Fatima, Carmela, Drina, Elaisa, Mara. Marga, Marvela, Reana, and Rina. Choose among these current home configurations that have 2-4BR, 1-3 T&B, with floor area ranging from 44 to 110sqm while lot area ranges from 54 to 117sqm. Selected units have a carport, balcony, maid’s room, service area, and master’s bedroom. All house and lot units have spacious living, dining, and kitchen areas. Compared with other residential communities currently on offer in this area, the house units offered at the Camella at the Island Park Dasmariñas Cavite have reasonable prices. As the Camella at the Island Park Dasma is located in Paliparan II, Dasmariñas City, Cavite, it has two main access routes. You could use either the Molino-Paliparan or the Governor’s Drive entrance, whichever route is convenient to you. Additionally, since the entire community has perimeter fence boosting its security, there are guard houses on both entrance and exit points where highly-trained security personnel are at bay any time of the day. There are also separate roving guards that secure your family and home anytime. Furthermore, the community has fire hydrants strategically placed around the area with efficient water distribution system. At the Camella at the Island Park Dasma, your worthy investment is not only guarded by trained personnel, even your family is safe and secured 24/7.